ZSL London Zoo and ZSL Whipsnade Zoo can provide you with the perfect space and large visitor footfall to help you promote your brand on-site. 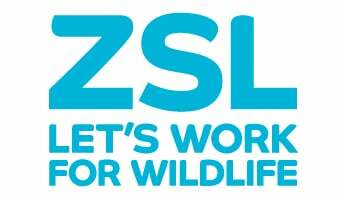 ZSL can host sampling activities in prominent positions, with optimum traffic flow at both ZSL London and Whipsnade Zoos. You don’t need to be handing out product samples to promote your brand with ZSL. Many companies set up family friendly activities, competitions or games, which can be equally effective in promoting a brand. As well as both Zoos being open 364 days a year, ZSL hosts Zoo Nights at ZSL London Zoo, and Sunset Safari at ZSL Whipsnade Zoo in the summer, which are perfect opportunities to come on-site as well. Please have a look at Competition prizes and VIP days which can be used in conjunction with on-site sampling. Families visit our zoos to enjoy themselves and as such are generally much more open minded and receptive than on other more stressful occasions such as trips to shopping centres or other tourist attractions. This makes ZSL the perfect atmosphere to obtain research! For further information and to discuss your booking, please contact generalenquiries@zsl.org or call 0344 225 1826 to speak with a member of our team.